Delaware County Patriots 2017 Picnic — The Delaware County Patriots annual group picnic is 1 – 4 p.m., Sunday, Sept. 10 at Pavilion 17 in Ridley Creek State Park. There will be sandwiches, drinks and cutlery. Candidates for state and federal offices are expected to attend. A $5 donation is requested and appreciated. Please RSVP by emailing reginamsch@verizon.net . Russ Diamond Visits Delco — State Rep. Russ Diamond will address the Delaware County Patriots, 7 p.m., Monday, April 17, at the Marple Library, 2599 Sproul Road, Broomall 19008. Diamond, a Republican who represents the 102nd District, might be best known as the man who started the PaCleanSweep movement after state legislators voted themselves a pay raise in 2005 during a midnight season. This resulted with numerous high ranking officials being removed from office. Chick-fil-A sandwiches and other refreshments will be served. Five dollar donations are requested for those who attend. 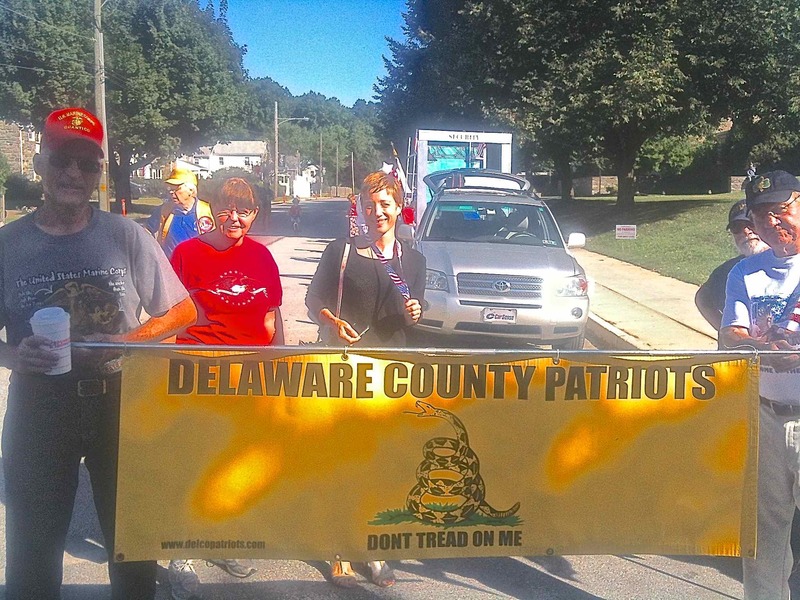 Betsy Nelsen Guest Of Delco Pats — Betsy Nelsen, who is the Northeast Regional Coordinator of Heritage Action, is the speaker at the Feb. 13 meeting of the Delaware County Patriots. It’s 7 p.m., at the Marple Library, 2599 Sproul Road, Broomall Pa. 19008. Heritage experts have played a prominent role on President Trump’s transition team. Pizza, soft drinks, coffee and dessert will be provided. A $5 donation is requested to cover the cost of the room. Register here. Monumental Thanksgiving Fete — The Delaware County Patriots will be having a Thanksgiving social, 6 p.m., Monday, Nov. 14 at the Marple Library, 2599 Sproul Road, Broomall, Pa. 19008. Preparing for a happy, thankful event. We suspect it will be a happy one. Dinner is pot luck and attendees are asked to contribute. It will be followed by a screening of the movie “Monumental”. Door fee is $5 to cover the cost of the room. A crowd of more than 80 braved the ice and a snowbank-filled parking lot, tonight, Feb. 18, to meet candidates Bob Guzzardi and Roger Howard and hear WPHT radio host Chris Stigall critique our present class of politicians. Stigall was the guest of the Delaware County Patriots at the Newtown Square, Pa. Knights of Columbus Hall. “I struggle to understand what Republican means anymore,” he said. Stigall, who is bald, said if he “had hair he’d pull it out” after hosting two prominent Republicans on his show. Stigall noted that “big tent” once meant agreement on the major principles while overlooking minor disputes. He said some in the party establishment are trying to spin Ronald Reagan as having been a “great compromiser” rather than the great communicator as he was known in his lifetime. He read a long excerpt from a 1977 speech by Ronald Reagan that could have been made regarding today’s political circumstance. He noted there were no compromises on principles. Stigall, who was once a congressional assistant to Congressman Sam Graves (R-MO6), whom he still greatly admires, said the general public has a tendency to put politicians on a pedestal, a fault he once considers himself as having. “This deifying is another something I won’t do anymore,” he said. He said the final cure came after he was invited to a one-on-one dinner by a prominent politician and lectured about “getting his mind right” after he had been criticizing the policies the pol had been backing. He said he has taken to emphasizing that our political class are merely public servants. Stigall noted that our Republican-controlled state has been unable to end socialism regarding the sale of liquor, nor do much of anything else regarding the advancement of economic freedom such as ending automatic deduction of union dues from the workers paychecks. Stigall thanked Guzzardi who is taking on Gov. 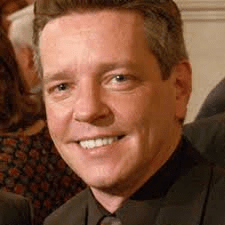 Tom Corbett in the May 20 Republican primary and, Howard who is running for the 158th District seat being vacated by long-time state Rep. Chris Ross. He said, however, his policy is to not make primary election endorsements.He said, though, he will never support a Democrat and give full support to the Republican winner.Guzzardi, it should be noted, got strong applause when he was introduced by moderator Lisa Esler. With Steve Bucci (second from right) are Delaware County Patriots Mary Ellen Jones, Chuck Martini and Lisa Esler. The Delaware County Patriots drew a crowd of 100 to the Newtown Square Knights of Columbus Hall, Sept. 11, to hear a man who had a front row seat of the first 9/11. Steve Bucci, a former Special Forces officer who now heads the Allison Center for Foreign Policy Studies at Heritage Foundation, became an assistant to then Defense Secretary Donald Rumsfeld in July 2001. His wife, a nurse practitioner, was looking for work and he suggested her for the clinic at the Pentagon. The day of her interview, she put on a nice dress, high heels and jewelry and rode in early with her husband. It was Sept. 11. Bucci was breakfasting with congressmen with the television on when they saw the first plane hit the World Trade Center. They felt it was pilot error. They were then watching what they thought was a replay when it dawned on them that it was a second plane. Bucci said they quickly determined we were under attack and went to a secure site in the building to plan a response. It was there he felt the building shake when the third plane struck. He looked for Rumsfeld and was told the Secretary went to the crash site. Bucci had much to say also about the second 9/11 one year ago in Benghazi, Libya. He noted that when he worked for Rumsfeld, the government would ramp up security on that date as it was obviously a symbolic target. That policy appeared to end when the Obama administration took over. Bucci said our embassies are especially vulnerable. He noted that in 2012 a career State Department officer noticed the British, Red Cross and others abandoning Benghazi and requested additional security. He was repeatedly rebuffed. When the attack came, Bucci described it as a “well planned, well executed military operation.” He noted the skillful use of mortars by the Islamic attackers which indicated significant training. He said the justification for the failure of our military to intervene — that the firefight would be over and that intervention was “dangerous” — was “crappy”. He also said the administration knew within hours that it was not a spontaneous protest over an internet video but a planned attack. He said he believed the Obama administration ignored security and hid the terrorism because it was trying to maintain a narrative during the home-stretch of the election that it had made the world safe. Regarding the ongoing crisis in Syria, Bucci expressed sympathy for the rebels noting that Syrian leader Bashar al-Assad was a “horribly evil dictator.” He said that the Obama administration declined to act for two years resulting Assad’s killing of 100,000 of his citizens. He said, however, that intervention was a tricky thing as the best and most dedicated fighters of the rebels are led by a faction that is likely worse than Assad. He said many of those supporting Assad do so out of fear of the rebels rather than love for him. He noted that there is a part of the rebellion that would be worthy of support but didn’t seem confident that would end up running things if the Assad were overthrown. He said Putin is no friend of the United States and took pleasure in making Obama look foolish. Bucci patiently answered questions from the audience ranging from 9/11 conspiracy theories — which he treated respectfully — to the state of Homeland Security, which he said is much improved over what it was in 2001. He noted that one of the biggest dangers we face is political correctness and the fear of tying Islamic extremism to terrorism. He cited Obama’s unwillingness to call the Fort Hood murders an act of terrorism as an example. He said that Hezbollah and Al-Qaeda both have made contacts with Mexican drug lords and others in Latin America. Bucci continued to answer questions after the event ended. Steven Bucci, a former Army Special Forces officer who has a doctorate in international relations, will be the speaker at an event to commemorate 9/11 sponsored by the Delaware County Patriots, 7 p.m., Sept. 11 at the Knights of Columbus Hall, 327 N. Newtown Street Road (Route 252) Newtown Square, Pa. 19073. Bucci is director of the Allison Center for Foreign Policy Studies at Heritage Foundation and a senior fellow at the Heritage Foundation for issues involving homeland security and sefense. He was at the Pentagon on 9/11. To register for the event visit here. 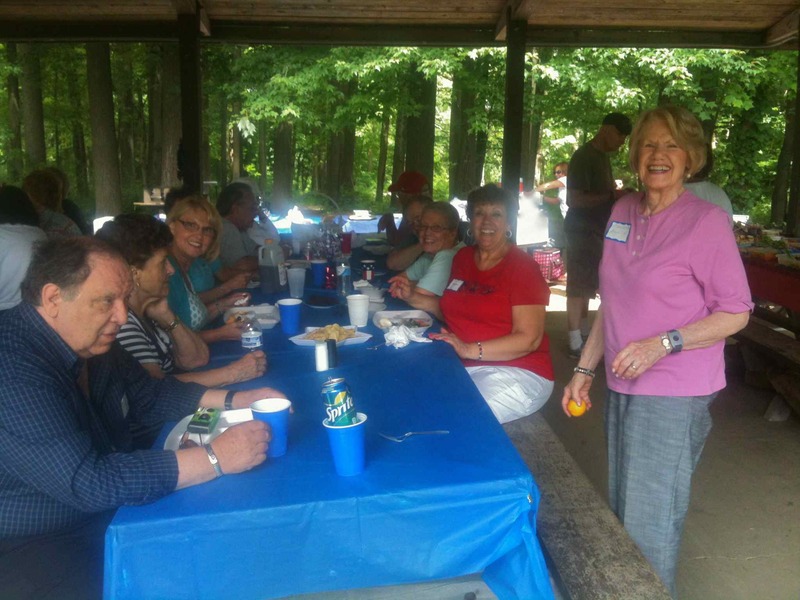 Picnic With The Patriots — The Delaware County Patriots had its 3rd Annual Picnic in the Park, today, June 23 at Pavilion 17 in Ridley Creek State Park. The company was great, the conversation interesting, and the food delicious. The Delco Patriots joined Americans for Prosperity ( AFP ) in a successful Lobby Day in Harrisburg on June 4. A busload of Delco and King of Prussia Tea party members rallied in Harrisburg for a day of speeches, meetings with local representatives and a powerful explanation of the “Common Core” educational issue by Dr. Peg Luksik. They were joined by patriots from Butler, Berks, Lehigh and Westmoreland counties. The Common Core initiative is another effort by the federal government to control something that should remain a state and local responsibility. In education, one size does not fit all and standards should not be reduced to the lowest common denominator. Local teachers and school boards should be the judge of what is appropriate, not federal bureaucrats. Other issues discussed included “Pension Reform”, “Paycheck Protection” (No coerced union dues), “Prevailing Wage” and tax cuts for Pennsylvania businesses. Pennsylvania has the second highest corporate tax rate in the United States at 9.99 percent. This high tax added to the federal and local tax burden discourages employers from locating in Pennsylvania AND encourages PA businesses to locate in other states or overseas. Sneaky New Fed School Policy Topic — The Common Core State Standards Initiative, which is an attempt to nationally unify state educational standards, will be the subject of a May 20 talk by Pennsylvania educational activist Dr. Peg Luksik. Concerns that she will address include the transfer of the authority that state governments and local school districts have over education to the federal government. The event will be held at The Knights of Columbus Mater Dei Hall, 327 N. Newtown Street Road (Route 252), Newtown Square, 19073. It starts at 7 p.m. and is sponsored by The Delaware County Patriots. Call 610-572-3442 for information or questions.